What are the El Nino and La Nina patterns? El Nino is a large body of warmer-than-normal water in the Eastern Pacific approximately 1-1/2 times the size of the United States. Every few years, the tropical trade winds abate and a large mass of warm water normally near Australia can expand along the equatorial Pacific as far east as Ecuador and Peru. Like its counterpart, La Nina tends to be strongest during the Northern Hemisphere winter. 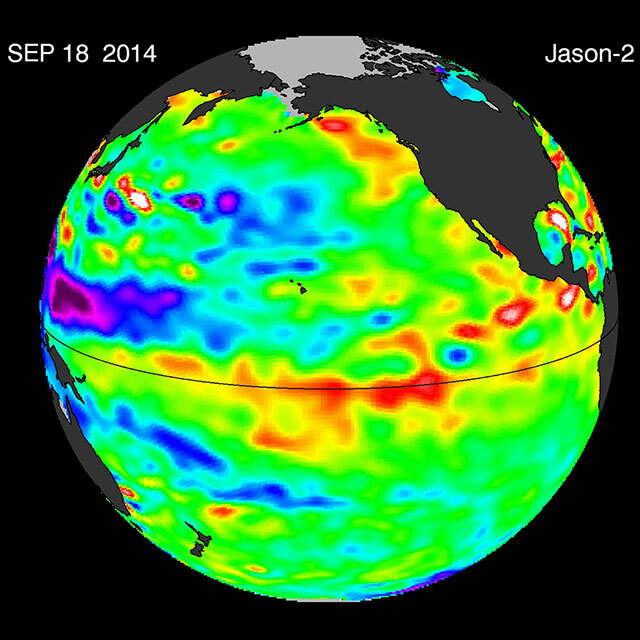 The growing area of Pacific Ocean "reds" hints at a possible El Nino event coming about. An El Nino can cause wind shear to develop off the Atlantic coast of the US, sometimes inhibiting hurricane development in the entire Atlantic basin. Prospects faded for an El Niño event in 2014, but more recently there's been a glimmer of hope for a very modest comeback. Scientists warn that unless these developing weak-to-modest El Niño conditions strengthen, the drought-stricken American West shouldn't expect any relief. Recently, Kelvin waves have reappeared, resuscitating hopes for a late arrival of the event. HEAT FUEL A NEW ONE? Some climate models suggest an El Niño may return later in 2017, while the Pacific Ocean lingers in a neutral "La Nada" state. 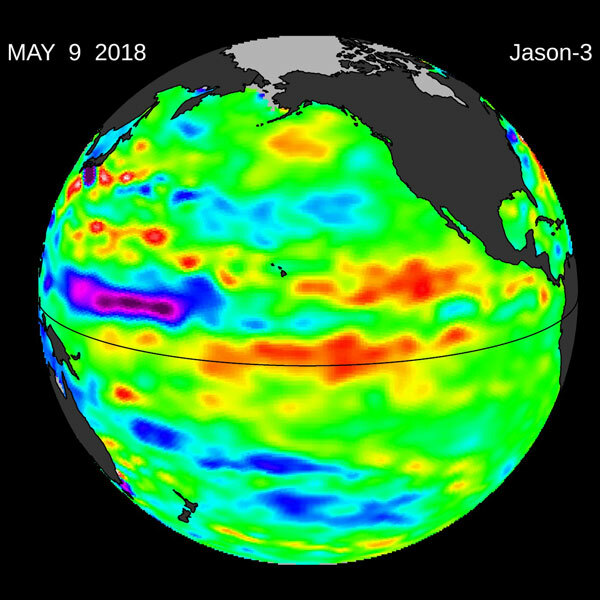 Whether or not El Niño returns will be determined by a number of factors, one of which is the larger stage on which El Niño and La Niña play, the Pacific Decadal Oscillation (PDO), a large-scale, long-term pattern of ocean temperature and other changes in the Pacific Ocean. It alternates between two phases, warm (called positive) and cool (negative), at irregular intervals of 5 to 20 years. In Spring 2018, high sea levels began to build in the Central Pacific. In the tropics, high sea levels are usually caused by a layer of warm water at or below the surface. This patch of high sea level was slowly traveling eastward through the tropical Pacific Ocean along the equator. Known as a downwelling Kelvin wave, this type of signal is often a precursor to an El Niño event. The Kelvin wave formed after a few short periods when winds changed from the prevailing easterlies to westerly ("westerly wind bursts") in the far western Pacific in early 2018. There has also been a general weakening of the easterly winds along the equator since 2018. The red pattern visible at the equator is the result of this downwelling Kelvin wave. It typically lasts one to two years. La Nina's effects, which are less understood, include the 1988 Midwest drought and an increased hurricane threat in the Atlantic Ocean and Gulf of Mexico. After an El Nino the climate usually returns to normal, not always swinging into the La Nina condition. In the past 20 years there have been only three La Ninas, compared to seven El Ninos. La Niña is one of many factors that goes into the summer hurricane forecast. When and how rapidly La Niña fades in the Pacific, and then how quickly the next El Niño forms, could have an effect on the number and intensity of hurricanes in the Atlantic this year. During an El Niño event, energy from warm water in the Pacific is transferred high into the atmosphere and funneled, in the form of strong winds, eastward, where it settles over hurricane-forming regions of the Atlantic, thousands of miles away. The settling of this air tends to choke hurricanes in their infancy. La Niña, on the other hand, allows Atlantic hurricanes to develop their potential with less inhibition. For more information, go to the MAWS Hurricane Page and MAWS Hurricane News Page. The tropical Pacific Ocean is once again carrying on a will-it-or-won’t-it flirtation with an El Niño event, just a year after the demise of one of the strongest El Niños on record. The odds right now are about even for an El Niño to develop, frustrating forecasters stuck in the middle of what is called the spring predictability barrier. During this time, model forecasts aren’t as good as seeing into the future, in part because of the very nature of the El Niño cycle. The reason scientists try to forecast El Niño is because of the major, often damaging, shifts in weather it can cause around the world. The last one brought punishing drought to parts of Southeast Asia and Africa and torrential rains to parts of South America. A devastating dose of long-term climate change combined with a strong El Niño in 2015 seemingly left every major climate record on the books shattered, according to an annual international climate report in August 2016. It “shows not only that the temperature of the planet is increasing, but all the related symptoms that you might expect to see with a rising temperature are also current,” the director of NOAA’s National Centers for Environmental Information, said of the report. 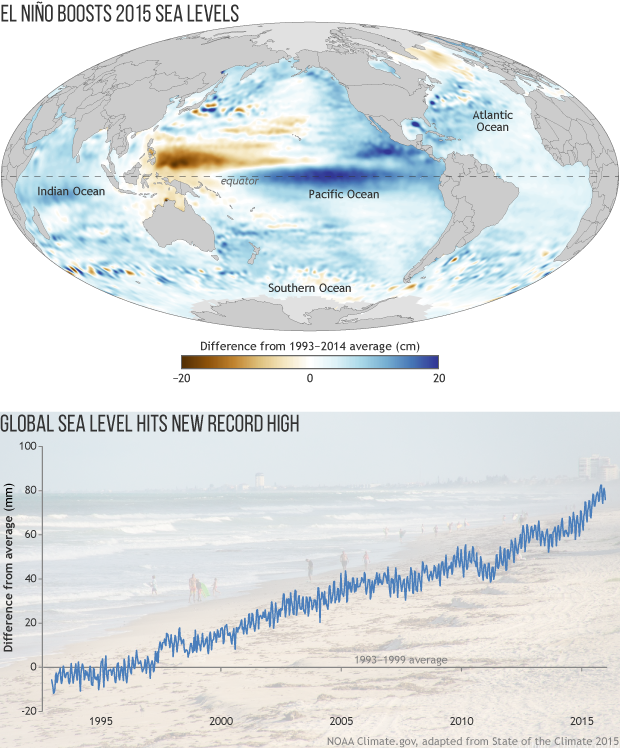 In 2015, greenhouse gas concentrations, global surface temperatures, sea surface temperature, global upper ocean heat content and global sea levels all toppled previous record highs. There are indications that an El Niño is on the way for the middle and latter parts of 2014. The phenomenon may impact the weather in portions of the United States, starting this summer. "We are confident that an El Niño is in the early stages of developing and may reach moderate strength moving forward into mid- to late summer of 2014", says one official. While El Niño will not have an impact on 2014 spring and summer's severe weather, it may come on early enough and strong enough to have impact on the upcoming hurricane season in the Atlantic and Eastern Pacific. Disruptive winds, known as wind shear, often develop off the Atlantic coast of the United States and sweep over a large part of the basin during El Niño. It is possible that a budding El Niño and developing wind shear may truncate the number of hurricanes originating from near the west coast of Africa during the middle and latter part of the season. The World Meteorological Organization says 2012 was the ninth-warmest since record-keeping began in 1850, despite the cooling effect of the weather pattern called La Nina. The U.N.'s weather agency says this marks the 27th year in a row the global average temperature — 58 degrees Fahrenheit (14.45 degrees Celsius) in 2012 — surpassed the 1961-1990 average. WMO said in it's annual climate report in April, 2013 the years from 2001 to 2012 were all among the top 13 warmest on record — the hottest being 2010, when the average temperature was 58.2 degrees F (14.6 degrees C). The WMO Secretary-General says "sustained warming of the lower atmosphere is a worrisome sign" of global warming despite La Nina, which is the flip side of El Nino and generally cools the oceans globally. 5/3/12: Goodbye La Nina: Will drought, hurricanes also go? The La Nina weather phenomenon is over. Forecasters say that's good news for the drought in the South and hurricane areas along the coasts. 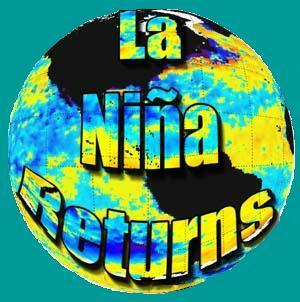 The National Weather Service pronounced the two-year La Nina finished in early May, 2012. La Nina is the flip side of El Nino and is caused by the cooling of the central Pacific Ocean. La Nina's greatest effects are in the winter, usually triggering drought in the U.S. South and more rain further north. It also often means more hurricane activity in the Atlantic during the summer. Global temperatures are cooler during La Ninas, especially in the tropics. After a period of La Nada (moreless neutral conditions) during Spring and early Summer 2011, the dreaded La Nina weather anomaly, blamed for both drought and record snowfall in the U.S., has returned and will garner strength during the coming winter, the Climate Prediction Center forecast said on 9/8/11. "While it is not yet clear what the ultimate strength of this La Nina will be, La Nina conditions have returned and are expected to gradually strengthen and continue into the Northern Hemisphere winter (of) 2011-12," the CPC said in a monthly update. It said waters in the eastern half of the equatorial Pacific Ocean cooled in August 2011, and the "oceanic and atmospheric patterns reflect the return of La Nina conditions." The CPC is an office under the U.S. National Oceanic Atmospheric Administration. It issues monthly reports on the El Nino and La Nina weather phenomena. Both weather patterns often follow one another in the Pacific. El Nino is an abnormal warming of waters in the Pacific and led to the failure of India's vital monsoon in 2009/10. La Nina is the opposite and is often linked to the ramping up of storms in the Atlantic basin which threaten oil rigs in the Gulf of Mexico. It already was an active storm season, with Hurricane Irene running up the U.S. East Coast and wreaking havoc through heavy rains and floods from North Carolina to Vermont bordering Canada in August 2011. La Nina was blamed in part for the severe snow storms which struck the U.S. in the 2010-2011 winter and the worst drought in a century which has ravaged Texas and swathes of the southwestern part of the country during Summer 2011. The weeks of heavy rain that triggered historic flooding in northeast Australia in January 2011 have been blamed on what climatologists are now calling one of the strongest La Nina events in the Pacific Ocean since record-keeping began a half-century ago. La Nina's global influence is also being blamed for heavy rains in Indonesia and Brazil. But unusually persistent cold weather in the 2010-11 winter in much of the eastern United States, heavy December rains in Southern California, and snow across the Deep South are the work of separate weather patterns in the Arctic, scientists say. Called the Arctic, or North Atlantic, Oscillation, these air and ocean patterns have been unusually persistent for the second winter in a row, overwhelming weather "signals" from the tropical Pacific. "That has really impacted what's going on, more than [events] out in the Pacific," said Mike Halpert, deputy director of National Oceanic and Atmospheric Administration's Climate Prediction Center in Camp Springs, Prince George's County. La Nina is the cool "negative" phase of cyclical warming and cooling of surface waters in the tropical Pacific. The warm "positive" phase is called El Nino. Climate scientists track them by measuring air and water temperatures with data buoys and satellites. The warm El Nino event that contributed storms and moisture to fuel during the 2009-10 winter's heavy snowstorms in the Mid-Atlantic weakened quickly and by May 2010 yielded to a cool La Nina. Measured by atmospheric temperatures in the region, this La Nina "might be amongst the strongest" on record, Halpert said. If you use ocean temperatures as a guide, it is "maybe the sixth-strongest" of the 22 on record since 1949. But while a La Nina event cools the tropical Pacific in the east, it generates stronger trade winds that push the ocean's heat and increased rainfall to the west. That has helped fuel the heavy rains in Australia, Indonesia and the Philippines. Pacific cooling has even enhanced rainfall in northern Brazil, Halpert said. "They are global phenomena." In the United States, forecasters expected the La Nina winter to bring storms and cold weather to the Pacific Northwest, the northern Plains and the Ohio Valley. It should have meant relatively dry, mild weather from the Southwest to the Southeast. Instead, a persistent "negative" phase of the Arctic Oscillation pattern sent the northern jet stream into what NASA climatologist Bill Patzert calls "wild meanders" around the Northern Hemisphere. Instead of a more west-to-east flow, he said, the jet stream looped southward and opened the door to intrusions of Arctic air. "Starting in December 2010, there were frigid outbreaks on the East Coast of the United States. It was also extremely cold and snowy in Europe, as well as in western Japan," he said. Normally, Patzert said, "the Arctic Oscillation has a time scale more like a few weeks. But it's been in a negative phase that's almost historic, lasting for a couple of months, almost." It's the explanation for the storms that swept out of the Gulf of Alaska in December 2010 and brought heavy rains to Southern California; deadly tornado outbreaks in Arkansas and Missouri on New Year's Eve 2011; persistent cold weather in the eastern half of the nation; and snow across the Deep South in the first part of January 2011. From Dec 1, 2010 to January 12, 2011 (43 days), temperatures at BWI Marshall Airport were below long-term averages on 32 days. "My story is that it's really the Arctic Oscillation" that lies behind the rough weather, Patzert said. It trashed his forecast for a dry "La Nina winter" in the Southwest and dumped 18 inches of rain last month on his home outside Los Angeles. And while La Nina could last until summer 2011, or even become a multiyear event, "the Arctic Oscillation can't remain this strong, or this negative, for the rest of the 2011 winter," he said. "I came to this dance with La Nina, and I'm sticking with her." The La Nina climate phenomenon is strengthening, increasing the likelihood an active hurricane season could get even busier. La Nina is marked by a cooling of the tropical Pacific Ocean and was reported to be developing in August 2010. 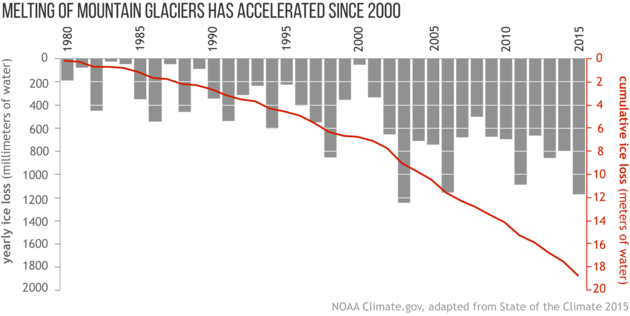 It appeared likely to last at least through early 2011, NOAA's Climate Prediction Service said. "La Nina can contribute to increased Atlantic hurricane activity by decreasing the vertical wind shear over the Caribbean Sea and tropical Atlantic Ocean," the center noted. Wind shear is a sharp difference in wind speed at different levels in the atmosphere. A strong wind shear reduces hurricanes by breaking up their ability to rise into the air, while less shear means they can climb and strengthen. NOAA called for an above-normal 2010 Atlantic tropical storm season. La Nina's cooling of the tropical Pacific is the opposite phase of the El Nino event, which is marked by unusually warm tropical water in that region. Each can take place every few years, usually with neutral conditions in between. Both can impact climate worldwide by changing the direction and strength of winds and altering air pressure and rainfall patterns. In addition to hurricanes in the Atlantic and Gulf of Mexico, the impact of La Nina can include above-average rain or snowfall in the Pacific Northwest and below-average precipitation in the Southwest and in portions of the middle and lower Mississippi Valley and Tennessee Valley. In other regions, La Nina tends to suppress hurricane activity across the central and eastern tropical North Pacific and increases rainfall in Indonesia. NOAA said its computer climate models disagree on how strong this La Nina will be, but all concur it will last at least through early 2011. El Niño is ending and it's colder cousin La Niña is set to start, NASA observations indicate. A La Niña is essentially the opposite of an El Niño. During a La Niña, trade winds in the western equatorial Pacific are stronger than normal, and the cold water that normally exists along the coast of South America extends to the central equatorial Pacific. La Niñas change global weather patterns and are associated with less moisture in the air, resulting in less rain along the coasts of North and South America. They also tend to increase the formation of tropical storms in the Atlantic. "For the American Southwest, La Niñas usually bring a dry winter, not good news for a region that has experienced normal rain and snowpack only once in the past five winters," said Bill Patzert, an oceanographer and climatologist at NASA's Jet Propulsion Laboratory in Pasadena, Calif. The latest image of Pacific Ocean sea surface heights from the NASA/European Ocean Surface Topography Mission/Jason-2 oceanography satellite shows that the tropical Pacific has switched from warm to cold during the last few months. In the image, the blue area in the center of the image depicts the recent appearance of cold water hugging the equator, which the satellite measures as a region of lower-than-normal sea level. Remnants of the El Niño warm water pool still linger north and south of the equator, the observations show. The satellite image showed that sea surface heights were about 4 inches (10 cm) above normal in warmer regions (these appear red in the image), while the regions where cooler water prevails are 6 to 7 inches (14 to 18 cm) below normal (these appear purple). Sea surface heights are influenced by ocean temperatures and winds, and so in turn reflect the overarching conditions of ocean regions, including patterns like El Niño and La Niña. Changes in the ocean impact the atmosphere and climate patterns around the globe. In turn, changes in the atmosphere impact the ocean temperatures and currents. This system oscillates between warm (El Niño) to neutral (or cold La Niña) conditions on average every three to four years. La Niña conditions typically last around nine to 12 months, according to the National Oceanic and Atmospheric Administration (NOAA), though some can persist for as long as two years. "The central equatorial Pacific Ocean could stay colder than normal into summer and beyond. That's because sea level is already about 4 inches (10 cm) below normal, creating a significant deficit of the heat stored in the upper ocean," Patzert said. "The next few months will reveal if the current cooling trend will eventually evolve into a long-lasting La Niña situation." El Niño experienced a late-fall 2009 resurgence. Sea-level height data from the NASA/European Ocean Surface Topography Mission/Jason-2 oceanography satellite showed that a large-scale, sustained weakening of trade winds in the western and central equatorial Pacific during October 2009 triggered a strong, eastward-moving wave of warm water, known as a Kelvin wave. In the central and eastern equatorial Pacific, this warm wave appears as the large area of higher-than-normal sea surface heights (warmer-than-normal sea surface temperatures) between 170 degrees east and 100 degrees west longitude. A series of similar, weaker events that began in June 2009 initially triggered and has sustained the present El Niño condition. Sea-surface temperatures have been warming in the tropical Pacific Ocean, suggesting the potential for the development of the El Nino climate phenomenon in summer 2009, according to the National Oceanic and Atmospheric Administration. El Nino conditions are associated with increased rainfall across the east-central and eastern Pacific and with drier than normal conditions over northern Australia, Indonesia and the Philippines. A summer El Nino can lead to wetter than normal conditions in the intermountain regions of the United States and over central Chile. In an El Nino year there tend to be more Eastern Pacific hurricanes and fewer Atlantic hurricanes. In recent months conditions have been neutral — between the warmer than normal El Nino and the cooler La Nina conditions. Water below the sea surface has been warmer than normal, NOAA said, and warm conditions both on the surface and below normally precede the development of an El Nino, changing wind patterns and potentially affecting climate worldwide. Computer models that forecast climate differ, the agency noted, with some predicting arrival of El Nino while others expect continued neutral conditions. The weather anomaly La Nina could influence global weather patterns through the early part of 2008, according to the National Weather Service. The U.S. agency said La Nina conditions have developed across the equatorial Pacific Ocean during Summer '07, though some forecasting models have predicted a more rapid development than has occurred. La Nina, which means "little girl" in Spanish, is an unusual cooling of Pacific Ocean surface temperatures and can trigger widespread changes in weather around the world, including a higher-than-normal number of hurricanes in the Atlantic. In its 90-day weather forecast, which runs from October to December '07, the agency predicted an increased chance of above normal temperatures in most of the United States. The only exceptions are along the Canadian border from Montana westward and in the Southeast along the South Atlantic Coast. "Historically both of these regions experience near or below average temperatures associated with La Nina," the NWS said. There is a greater chance of above normal temperatures in the Southwest due largely to long-term trends and ongoing drought conditions. Most of the country will have an equal chance of precipitation, with the only exceptions being above-normal chances in the Northwest and below-normal chances in the Southwest. 8/25/06: The Return of El Niño? NOAA reported in August 2006 that Weak El Niño conditions may appear by year’s end, but if it does, it will happen too late to have an impact on the 2006 Atlantic hurricane season. If the weather pattern does develop, however, it could still have an impact on ski conditions across North America. According to the NOAA Climate Prediction Center, the U.S. government agency tasked with monitoring, assessing and predicting the El Niño Southern Oscillation, or ENSO, cycle (El Niño and La Niña), the global atmospheric circulation and precipitation patterns are consistent with ENSO-neutral conditions in the tropical Pacific. These patterns are expected to continue through Fall 2006. However NOAA’s lead ENSO scientist for more than 20 years, says that based on recent trends there is a 50 percent chance that weak El Niño conditions will develop late this year and continue through early 2007. If weak El Niño conditions develop, the U.S. should expect wetter-than-average conditions over portions of the Gulf Coast and southeastern states, and warmer-than-average conditions over the West, northern Great Plains and upper Midwest during January-March 2007. “At the moment, it is too early to be certain as to whether or not El Niño will develop,” NOAA added. 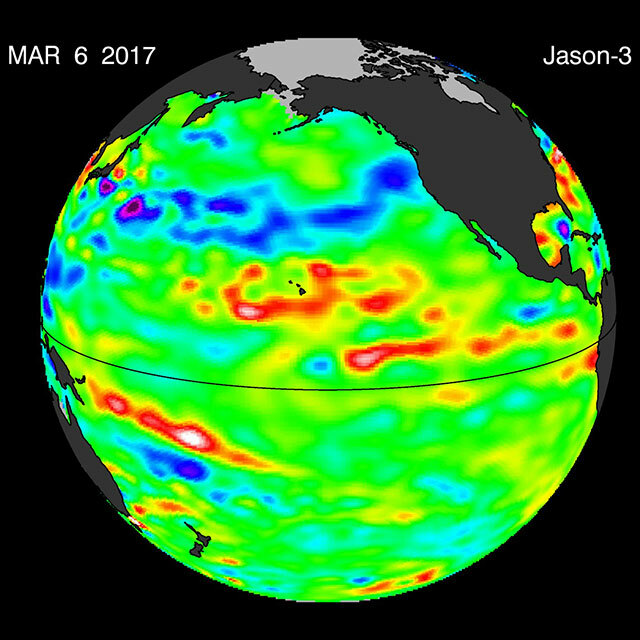 The El Niño forecast is based on the Climate Forecast System, or CFS, model and recent trends in the ocean-atmosphere system. A new La Niña, a cooling of the ocean surface that can have global consequences — from the promise of a warmer, drier spring in Georgia to a new wild card in what forecasters already expect will be a hyperactive hurricane season — has emerged in the Pacific, the National Oceanic and Atmospheric Administration reported Thursday. Past cooling episodes in the same area of the central Pacific have been linked to increases in the number and intensity of hurricanes, but climate experts say it's too early to tell what role this La Niña will play in the 2006 hurricane season, already expected to be more active. "Historically, a La Niña typically makes for stronger and more frequent hurricanes, but this is a weak La Niña," NOAA climate analyst Ed O'Lenic said at the American Meteorology Society meeting in Atlanta. "It's still intensifying," O'Lenic said. "We expect this La Niña to last three to six months. It is possible that it will weaken by the time the hurricane season begins, but this is definitely something we will be looking at when we make our forecast for the season in May." Whether La Niña's effects persist into the hurricane season or not, climate experts say the cooling of the tropical Pacific, now about one degree below normal, is already making its presence felt thousands of miles away with a warmer winter over much of the nation. O'Lenic says the atmospheric effects of the cooling sea surface have created a ridge of high pressure over the eastern Pacific and shifted the jet stream northward in recent weeks — blocking outbreaks of Arctic cold that often hit the middle of the country this time of year. As the Pacific cools further in coming months, forecasters say there are likely to be other hiccups in global weather patterns. Georgia and the Southeast are likely to be warmer and drier than normal. "This pattern also favors continued drought in parts of the South and Southwest from Arizona to Arkansas and Louisiana, and above normal precipitation in the Northwest and the Tennessee Valley," said NOAA Administrator Conrad Lautenbacher. The ripple effects of La Niña aren't confined to the United States. Based on past episodes, Indonesia and Australia are likely to be warmer and wetter. So is the Amazon basin. On average, La Niña— and its gender opposite, El Niño, which occurs when the tropical Pacific is warmer than normal — occurs at irregular intervals every three to five years. Because the effects of both La Niña and El Niño are far-reaching, the U.S. and other governments have become highly skilled at detecting such episodes early. Predicting them before the first signs appear — and anticipating how long they will last — has been more difficult. La Niñas, for example, occur about half as often as El Niños. Although they typically last from 9 to 12 months, they may persist for up to two years. The last La Niña, in 2000-2001, was weak and short-lived but closely followed a strong La Niña in 1998-2000 that was linked to severe and persistent drought over large areas of the United States. El Nino, the periodic warming in the equatorial Pacific that can change weather worldwide, is more predictable than previously thought, researchers report. While some forecasting methods had limited success predicting the 1997 El Nino a few months in advance, the Columbia University researchers say their method can predict large El Nino events up to two years in advance. That would be a boon for governments, farmers and others seeking to plan for the droughts and heavy rainfall El Nino can produce in various parts of the world. Using a computer, the researchers matched sea-surface temperatures to later El Nino occurrences between 1980 and 2000 and were then able to anticipate El Nino events dating back to 1857, using prior sea-surface temperatures. The results were reported in an April 2004 issue of the journal Nature. The researchers say their method is not perfect, but a meteorologist at the University of California, Davis, who was not involved in the work, said it suggests El Nino is indeed predictable. He also stated that this will probably convince others to search around more for even better methods. The new method "makes it possible to predict El Nino at long lead times," said lead author Dake Chen of Columbia University's Lamont-Doherty Earth Observatory. Other models also use sea-surface temperatures, but they have not looked as far back because they need other data, which is only available for recent decades, Chen said. The ability to predict the warming and cooling of the Pacific is of immense importance. The 1997 El Nino, for example, caused an estimated $20 billion in damage worldwide, offset by beneficial effects in other areas, said David Anderson, of the European Centre for Medium-Range Weather Forecasts in Reading, England. The 1877 El Nino, meanwhile, coincided with a failure of the Indian monsoon and a famine that killed perhaps 40 million in India and China, prompting the development of seasonal forecasting, Anderson said. While predicting smaller El Nino events remains tricky, the ability to predict larger ones should be increased to at least a year if the new method is confirmed, Anderson wrote in an accompanying commentary. Chen said the new forecasting method does not predict any major El Nino events in the next two years, although a weak warming toward the end of this year is possible. El Nino's return in 2002 helped to hike global temperatures to the second highest on record and scorch the earth with widespread drought, U.S. government forecasters said. The weather anomaly El Nino caused drought in India and Indonesia and record high temperatures in Australia during 2002, the U.S. National Oceanic and Atmospheric Administration (NOAA) said. Scorching temperatures and lack of rain caused severe drought over half the United States during summer '02. A series of storms and an active hurricane season brought rain aplenty to the southern and eastern U.S., but about one-third of the country is still drought-stricken. Still, the average temperature for 2002 for the contiguous United States is expected to be 53.6 degrees F, about one-half degree cooler than 2001, NOAA said. "There is a clear trend toward warmer conditions, and it is a very significant trend," said Tom Karl, director of NOAA's national climate data center. In its winter forecast in early December, NOAA meteorologists said El Nino will affect U.S. weather through March or April, bringing a mild winter to the northern half of the country while pounding the South and East with more storms. The average global temperature in 2002 rose nearly 1 degree from last year to 57.8 degrees Fahrenheit, the second-warmest year since the United States started tracking weather data in 1880. The highest temperature on record was 58.0 F in 1998. 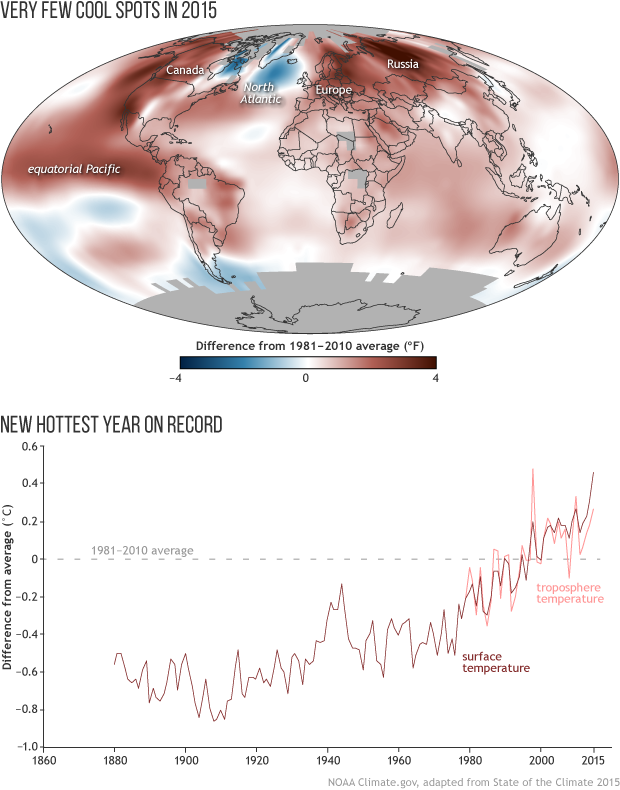 Nine of the 10 warmest years recorded on earth since 1880 have occurred since 1990, NOAA said. During 2002, scientists saw the greatest surface melt on the Greenland ice sheet in the 24 years that satellites have monitored the formation and a record low in Arctic sea ice in September. NOAA cautioned that drought in the northern U.S. Rockies would worsen during the winter, setting the stage for a repeat of the tinder-like conditions that burned an estimated 7 million acres of forest land last summer. "When we say warmer and drier in Wyoming, Idaho and Montana, that could be a significant problem next year," said James Laver, director of NOAA's climate prediction center, referring to potential forest fires. El Nino, the weather phenomenon blamed for causing devastating droughts, storms and floods around the globe, works on a 2,000-year cycle, scientists now believe. The frequency of El Nino events peaked about 1,200 years ago during the Middle Ages and will probably reach another high in the early part of the 22nd century. "El Nino operates within its own kind of 2,000-year rhythm, and because of that, we believe these periodic changes have had a major impact on global climate conditions over the past 10,000 years," Christopher Moy of Stanford University in California said. 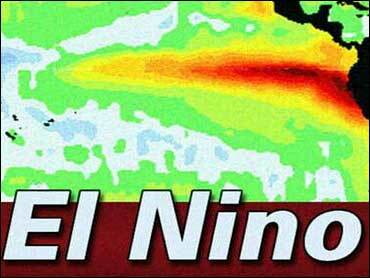 El Nino is an abnormal warming of waters in the Pacific that distorts wind and rainfall patterns around the world. It has been linked to heavy rainfall in northern Peru and southern Ecuador and heat waves in the northeastern United States. While studying at Syracuse University in New York, Moy and his colleagues discovered the first continuous records of weather events caused by El Nino going back thousands of years. By studying sediment from Lake Pallcacocha in southern Ecuador, the scientists were able to track dramatic changes in weather systems across North and South America. "About every 2,000 years, we see a lot of El Nino activity," said Moy, who reported his finding in the science journal Nature. "El Nino is an important part of our modern-day climate system. Likewise, our study shows it was also an important part of the earth's climate system 7,000 years ago," he added. 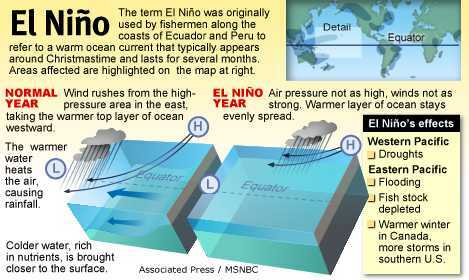 The scientists hope that by studying earlier El Nino cycles they can improve understanding of future climate changes. Weather experts predict the current mild El Nino, which scientists have blamed for extending the dry season in parts of Asia, may strengthen during the winter, increasing storms in the southern United States and causing drier conditions in the Midwest. But the experts at the National Oceanic and Atmospheric Administration in the United States said it will be weaker than the 1997-1998 El Nino that claimed thousands of lives and caused billions of dollars of damage worldwide. The year 2001 is the second warmest on record and the trend toward higher mean global temperatures looks set to continue, World Meteorological Organization officials have said. Compared with the 1961-1990 average used as the basis for comparison, officials said the global temperature in 2001 rose a fraction of a degree Fahrenheit to 57.2 F. It is the 23rd year in succession that temperatures have been above the 1961-1990 mean. The 2001 average temperature was second only to 1998 when temperatures rose under the impact of La Nina, the sister phenomenon to El Nino, both of which are caused by abnormal warming of surface water in the Pacific Ocean. The expectation is for a continued gradual warming for the next years. Since the 1980s the trend has been to consistently remain above normal, with the temperatures continuing to increase slowly. World Meteorological Organization officials said the warming trend would be accompanied by further cases of extreme weather conditions -- both flooding and drought as well as sharp temperature variations. But it was not possible to predict where the weather events would occur. They noted the overall trend to higher mean temperatures did not mean that some parts of the world would not experience extreme cold, as happened in the 2000 winter in Russia. Officials said the rising mean temperature and the frequency of extreme climatic conditions, such as the devastating drought currently plaguing central Asia, were consistent with a pattern of global warming. The United Nations Intergovernmental Panel on Climate Change, a body of international scientists, has warned that rising emissions of greenhouse gases such as carbon dioxide as a result of human activities are at least partially responsible for the temperature trend. New research comes closer to answering the winter weather question most Americans care about: will an El Nino or La Nina phase make it snow more or less here this winter? Writing in the Bulletin of the American Meteorological Society, Shawn Smith and James O'Brien of Florida State University say they found the most significant changes in snowfall affected by the Pacific warm and cool spells occur in the interior Northwest, the Northeast, the Ohio Valley, Midwest and northern Texas. "With this new knowledge and an ever-improving ability to forecast upcoming warm and cold phases (in the Pacific), forecasters should be able to provide more accurate seasonal outlooks for total snowfall," they said. This should aid both government transportation planners who have to cope with snow's negatives and businesses that thrive or flounder when snow does or doesn't fall. "We started our research with a request from the ski areas for better snowfall forecasts during the last El Nino phase in 1997, because snowfall dictates economic boom or bust for them," O'Brien said. "But everyone can benefit from better seasonal snow forecasts," Smith added. Swings in the eastern Pacific's ocean surface temperatures change precipitation patterns around the world. El Ninos occur when trade winds that normally blow east to west over the equator relax in the Pacific, allowing eastern surface waters to warm. La Ninas occur when the trade winds pick up, causing cooler surface waters in the east. The Pacific is currently just coming out of a La Nina episode into a neutral or possibly early El Nino phase by this fall. The swings happen irregularly every two to years, and typically last for a year or two before returning to normal. Earlier studies of the effects of El Nino and La Nina on the United States have looked only at total precipitation - not snow - or at average snowfalls for an entire season, rather than at when and how much snow fell at different times during a winter. In the Northwest (Washington, north and central Idaho and western Montana) and the Great Basin (central Nevada, central Utah and western Colorado), more snow falls during a La Nina than during an El Nino. Most changes in snowfall in the Northwest tend to occur from early through midwinter, as opposed to late winter. The Great Basin gets the most snowfall in early winter during La Nina. In the Northeast, along a line that extends along the Appalachian Mountains from central Virginia on through the Mid-Atlantic to central Vermont, most snowfall changes are seen during midwinter. The region gets less snow during a La Nina than in a season when the Pacific is normal, but more snow falls during the El Nino phase. The Ohio Valley receives less snow in early and midwinter during both El Nino and La Nina than in winters without them. The Midwest (southern Wisconsin, southern Minnesota, Iowa and northern Illinois and Indiana) had the same trend, but only during midwinter. Smith noted that there is a wide range of effects on snowfall in the Midwest. For instance, Cincinnati snowfall totals declined by as little as 2 to 5 inches during an El Nino or La Nina, but in Muskegon, Mich., the difference was as large as 1 or 2 feet. Northern Texas showed the greatest increase in snowfall in midwinter during El Nino years, with median snowfall increasing by 69 percent and 78 percent over the neutral and La Nina phases, respectively. That translates to an extra 2 inches of snow in Midland and almost 7 inches in Amarillo. Smith and O'Brien note that they found less significant snowfall patterns in other regions, like the Rockies, the northern Great Lakes and Wyoming, but that their research was hampered in those areas due to a shortage of long-term weather records. Australian farmers hope they will be spared the ravages of El Nino this year but scientists say that if the drought-inducing weather phenomenon strikes, it could signal rain for southern areas in years to come. El Nino typically causes drought in Australia and Southeast Asia and floods in Africa and South America, but a new link has been discovered at the Australian government-backed Commonwealth Scientific and Industrial Research Organization (CSIRO). CSIRO's Dr. Peter Baines explained how El Nino's influence on the Antarctic Circumpolar Wave produces increased rainfall in southern parts of Australia -- with a three year lag. ``This (is) a back door influence (from El Nino),'' he said. It is not known if El Nino will return in 2001. Salomon Smith Barney meteorologist Jon Davis says there would be no El Nino because there was no sign of any warming in the equatorial Pacific waters that spawn the phenomenon. The last full-strength El Nino, which hit Australia and Southeast Asia in 1997, caused serious drought, crop failure and devastating bush fires. Baines' work shows that the formation of an El Nino weather pattern produces higher sea surface temperatures in a block of the Southern Ocean, and cooler waters adjacent to that. The areas of warm and cold water are then slowly transported eastward, approaching Australia about three years later. The practical significance of the discovery is that it increases understanding of weather patterns and indicates where rainfall may increase or decrease in southern areas in response to an El Nino event, Baines said. ``During El Nino events, there is a massive buildup of warm water in the equatorial central Pacific Ocean,'' he said. ``This warm water causes atmospheric linkages, known as teleconnections, that set up a large region of high atmospheric pressure in the South Pacific near the Ross Sea, off Antarctica,'' Baines said in a statement. Associated with this, warm northerly winds heat the surface waters of the Southern Ocean nearby, raising the temperature by up to one degree Celsius over a six-month period. Cold southerly winds also cool a similarly large region adjacent to it, he said. When the warm patch of water passes to the south and west of Australia, it appears to produce higher rainfall over the south of the continent, he said. Regular occurrences of El Nino -- every four years from the 1980s until the mid-1990s -- strengthened the Antarctic circumpolar wave, he said. An irregular pattern by El Nino has since weakened it. ``We may expect the next big El Nino to fire it up again,'' Baines said. During the opposite phase of El Nino, known as La Nina, the Antarctic wave cools, producing reduced rainfall in southern regions. El Nino translates from the Spanish as ``boy child'' and is a term used by Peruvian fishermen to describe the periodic arrival of warm waters which reduce their anchovy catch. Using pieces of ancient coral reefs as windows on the history of climate, geologists have discovered that at no time in the past 130,000 years does the weather phenomenon known as El Niño appear to have been as intense as it has in the last century. In an article published in "Science Magazine," the researchers reported that the strength of El Niño was diminished during ice ages. The findings are important in evaluating the hypothesis that the intensity of El Niño during the last century is related to greenhouse gas emissions and global warming. The researchers also learned that during the ice ages the intensity of El Niño appears to be about 50 percent weaker. During the warmest times El Niño was the strongest.